A kingdom burns. A princess sleeps. This is no fairy tale.It all started with the burning of the spindles.No.It all started with a curse…Half sisters Isabelle and Aurora are polar opposites: Isabelle is the king’s headstrong illegitimate daughter, whose sight was tithed by faeries; Aurora, beautiful and sheltered, was tithed her sense of touch and her voice on the same dayA kingdom burns. A princess sleeps. This is no fairy tale.It all started with the burning of the spindles.No.It all started with a curse…Half sisters Isabelle and Aurora are polar opposites: Isabelle is the king’s headstrong illegitimate daughter, whose sight was tithed by faeries; Aurora, beautiful and sheltered, was tithed her sense of touch and her voice on the same day. Despite their differences, the sisters have always been extremely close.And then everything changes, with a single drop of Aurora’s blood—and a sleep so deep it cannot be broken.As the faerie queen and her army of Vultures prepare to march, Isabelle must race to find a prince who can awaken her sister with the kiss of true love and seal their two kingdoms in an alliance against the queen.Isabelle crosses land and sea; unearthly, thorny vines rise up the palace walls; and whispers of revolt travel in the ashes on the wind. The kingdom falls to ruin under layers of snow. Meanwhile, Aurora wakes up in a strange and enchanted world, where a mysterious hunter may be the secret to her escape…or the reason for her to stay. 2.5 ish?SO MUCH POTENTIALThis seems to be a recent trend where I'm super excited to read books because they sound amazing and then I actually read them and I'm like ????? WHY. Unfortunately, this was the case here. UGH. May we please take a step back and appreciate the glorious beauty of this cover? 'Kay.And SJM and Bardugo?!? SAY NO MORE. Had some good moments but to be honest I found my concentration roaming during a lot of this book. 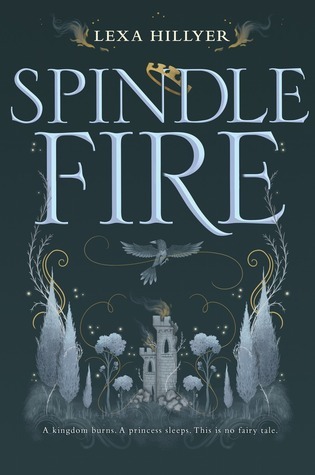 If you like fairytale retellings a lot than check this book out for sure. Update: 28/06/2016COVER!I'm praying for zero romance and hella sister dynamics. Perfect for fans of Sarah J. Maas and Leigh BardugoL E I G H B A R D U G OThe magic words have been spoken. I didn't like this author's previous book but I am very intrigued by this. It's on my list right now to read and I'll see how reviews start to come in before I pick it up.